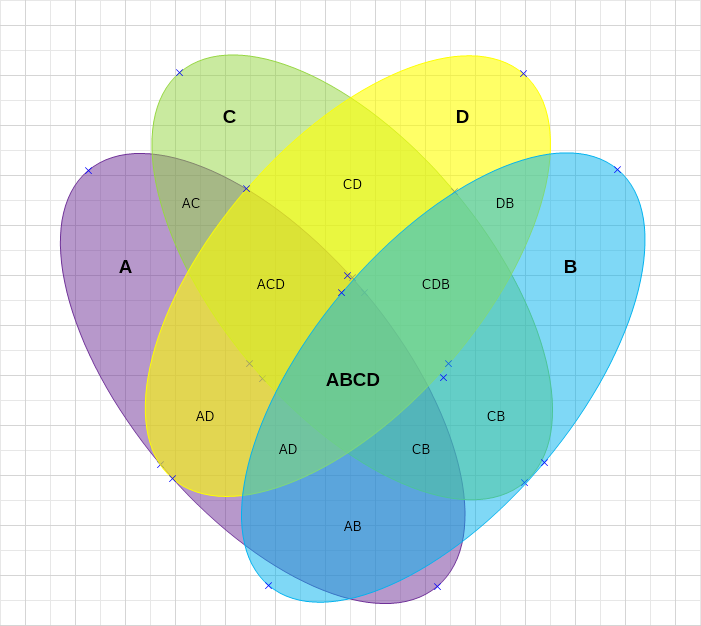 Four ellipses venn diagrams can serve the very same purposes as 4 circles diagram. The main difference is that compared to circles, ellipses allow for a larger typing area when such is needed for the purpose of visualization. To edit this diagram simply double click the text in Nevron Draw and start typing.